Completely remodeled and turn key ready! Your will fall in love with the coziness of this condo which sleeps like a 2 bedroom with 2 full bathrooms. 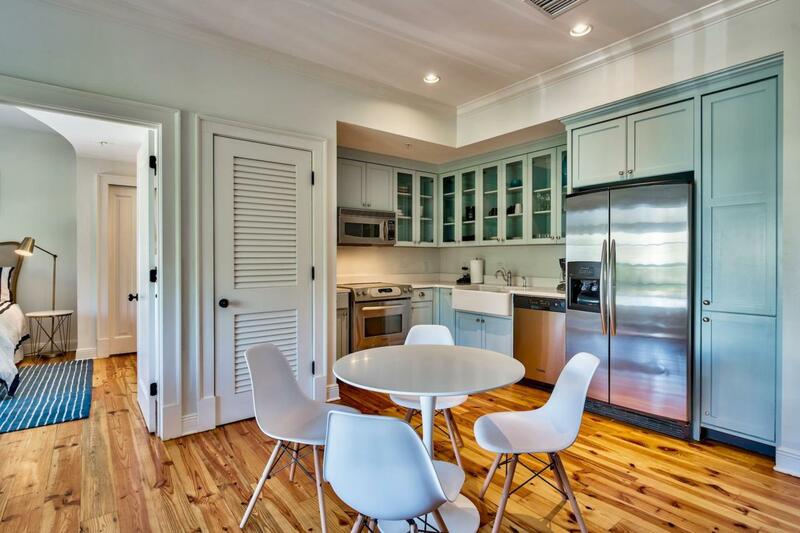 Polished hardwood flooring and tasteful decor greet you as you step through the door of this sought-after condo in the heart of Rosemary Beach. 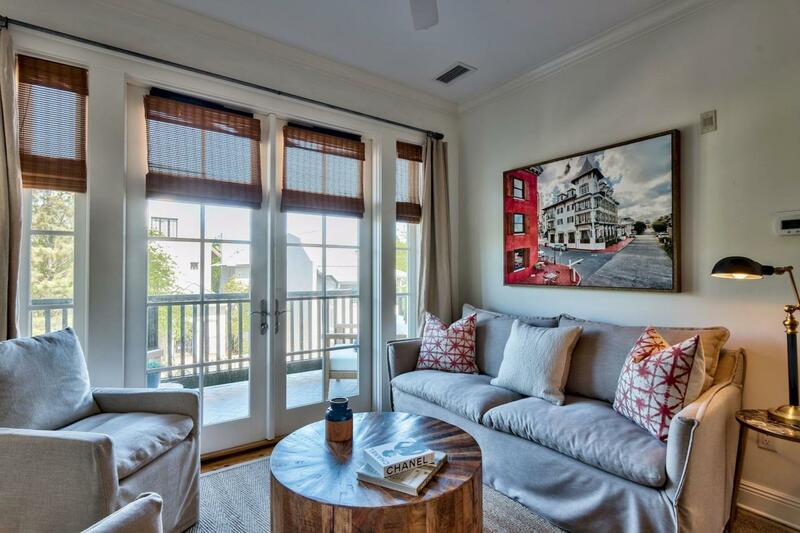 Competitively priced to sell, this luxury residence is the most inexpensive condo available in Rosemary Beach and the new furniture gives it a fresh finish. The custom wall bed folds effortlessly away into a custom built-in cabinet, maximizing the potential of this one-bed, two-bath condo which easily sleeps four. The corner kitchen area is fully equipped with stainless appliances, a Belfast sink and a full range of cabinets in soft dove gray. New white quartz countertops are in place.You'll find everything you need to cook a romantic dinner or fix breakfast before a day at the beach. spacious open floor plan includes a dining table and a well-lit sitting area with deep cushioned sofa and armchairs for enjoying the pleasant view. 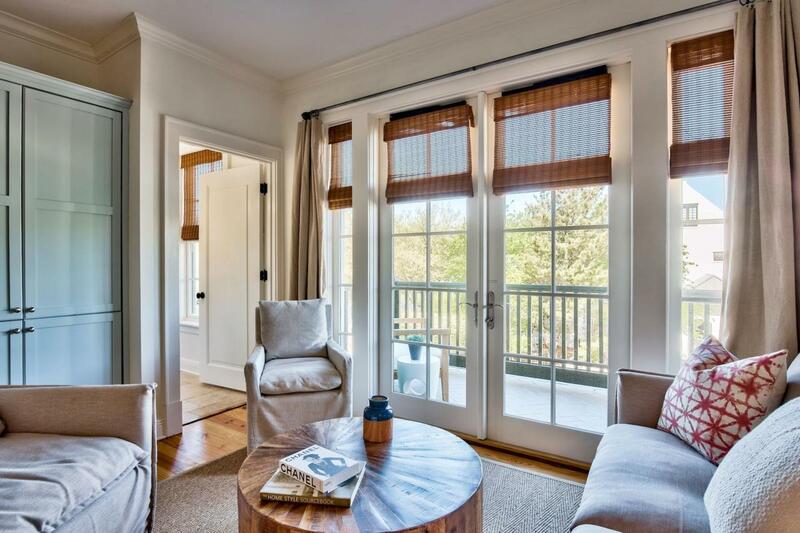 French doors open onto a balcony which delivers peaceful views of the treetops on Barrett Square and the unique architectural rooflines. Shop and dine in the elegant Town Center, cool off in the community pools, or enjoy a stroll along the sugar-white sand beach. 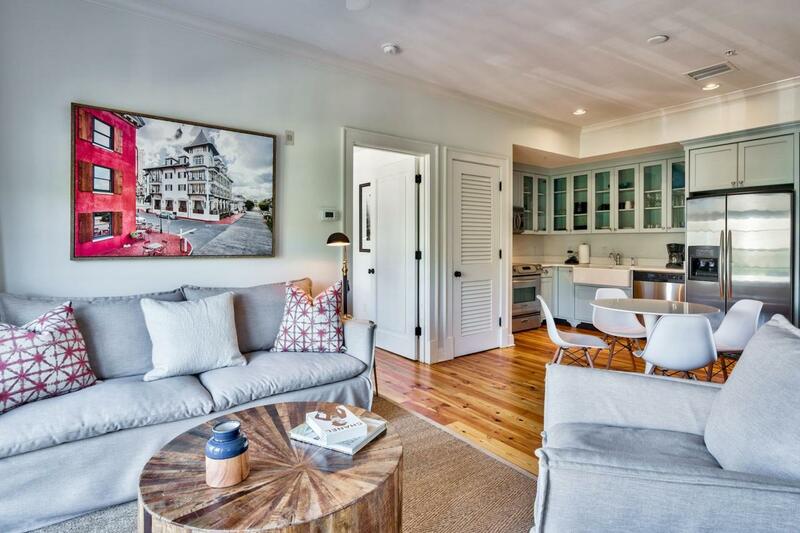 This prime location in the award-winning community of Rosemary Beach makes this condo a popular vacation rental, generating $46,000+ income in 2018. With a new air-conditioning unit and new water heater, this condo is ready to welcome new owners or another season of guests.